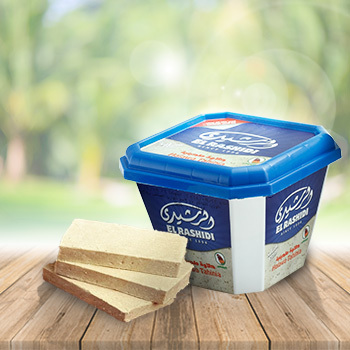 Halawa (in western countries called Halva) has always held a place in people’s hearts and became a must have on the Egyptian breakfast table. 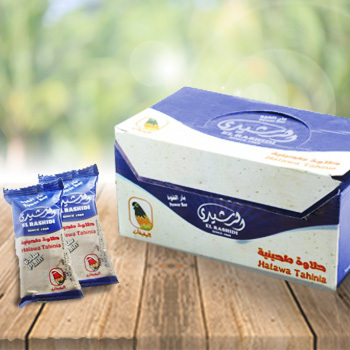 The modern and stylish design of its packaging not only gives it a premium look but it ensures Halawa is always FRESH . 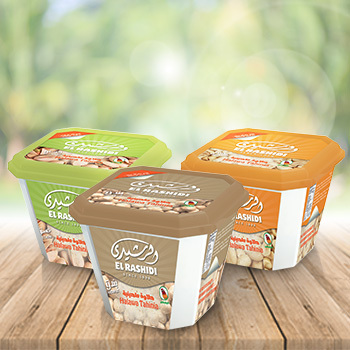 The range includes Plain Halawa, Halawa with chocolate and filled nuts. 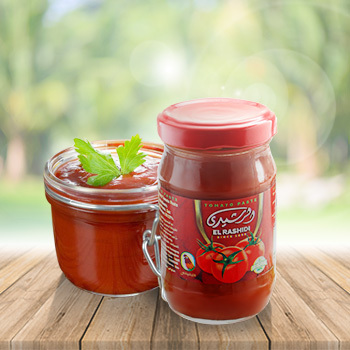 El Rashidi El elbaghbaghan tomato paste is made from fresh ripe tomatoes. 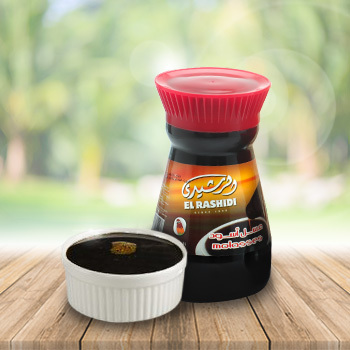 Add El Rashidi elbaghbaghan tomato paste to your favorite recipes and dishes to enrich the flavors of your sauces, pasta, or pizza. 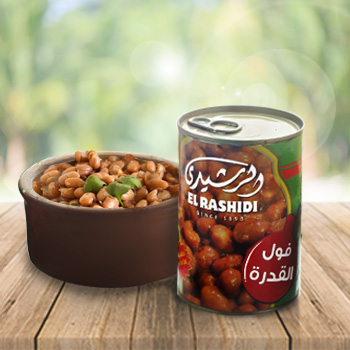 El Rashidi El Mizan carefully fresh tomatoes guarantee the taste and quality of the tomato paste that enhances the cooking experience. 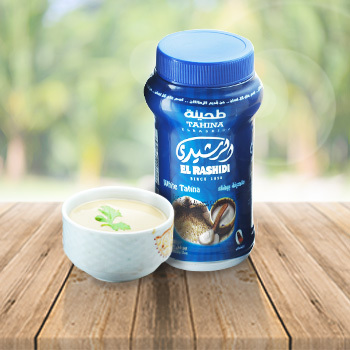 Tahina (also known in western countries as Tahini) is a popular Middle Eastern topping that is best served as a side dish with oriental meat dishes, fish dishes , as a dip or complimentary to molasses or as a salad (Hummus, Tahina Salad), made of 100% pure sesame. Our beans is made from the finest seeds. beans is a healthy food which contains a variety of minerals that promote your health. beans is a very good source of protein , potassium and magnesium. It is consumed in the Middle East alone as a healthy food full of energy or with Tahina. Our molasses is made from the finest sugarcane. Molasses is a healthy sweetener which contains a variety of minerals that promote your health. Molasses is a very good source of iron, potassium and magnesium. It is consumed in the Middle East alone as a healthy sweetener full of energy or with Tahina.